While researching mobile strategy I came to realize the universal power of Tablet PCs. No other device can access both old and new web sites and run apps, with a screen size that accommodates complex interactions. Smartphones provide all the same access but fail when a larger screen is really needed. In the form-factor tug-of-war the Tablet PC fits all of your needs except the “fits in your pocket test”. Can view both mobile and web properties: websites, mobile websites, and apps. Has a screen large enough for complex, multi-page transactions. Can have both Wi-Fi and cellular connectivity. Has a modern browser that can take advantage of responsive designed web sites. 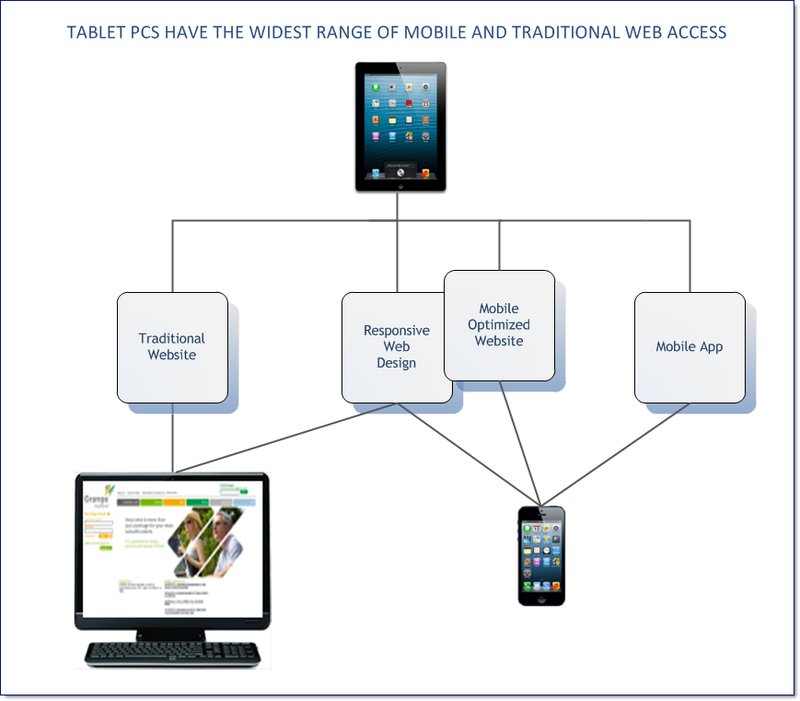 Tablet PCs have the widest range of mobile and traditional web access.